Dance like nobody is watching, close your eyes and feel the beat, hear it pounding and slide into the music. While moving your body to the melodies, time and space cease to exist, and the energy fields create a temporary autonomous zone. In that zone, we are all Mechanical Dancers, creating waves of psychedelic patterns that flow in harmony. 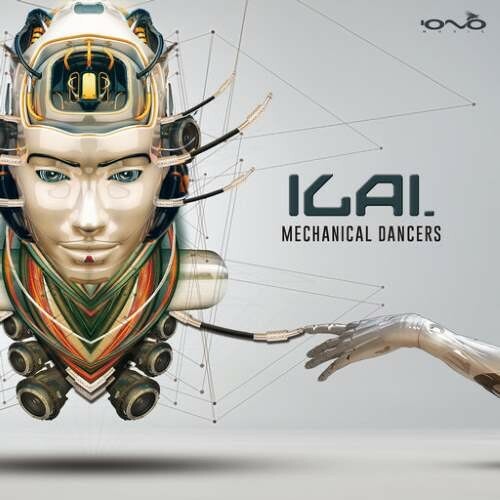 This is the third album of Ilai, aka Ilai Slavato from Padova Italy. After his previous albums 'End of Time' (2011) and 'New Tomorrows' (2013) released in 24/7 Media, he wanted to create something else. Mixing new ideas, emotions and influences this album brings a new stage in his career, seeing a mature version of his artistic creation that emphasizes the electric and metallic sounds boiling in his mind. Collaborating with the talented Side Effect, aka Tzahi Geller and Yarden Yogev, and Egorythmia aka, Boban Lazovski Ilai managed to extract their talents and brew something that blends it all together into an enchanting mesh. This is an album for dancers who just can't stop moving, and for those who will join them shortly after hearing the first tune.